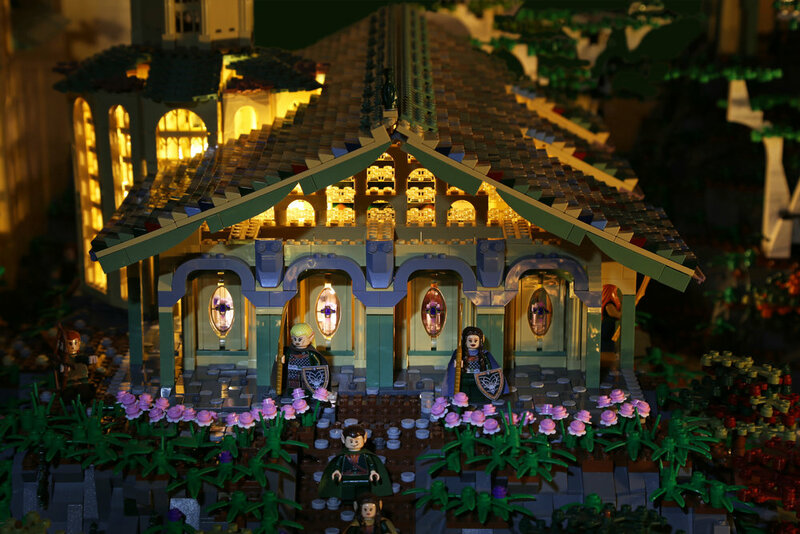 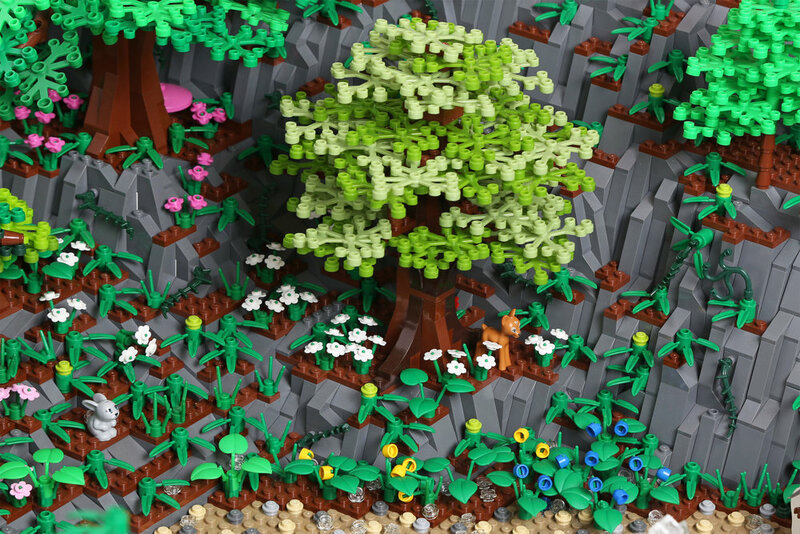 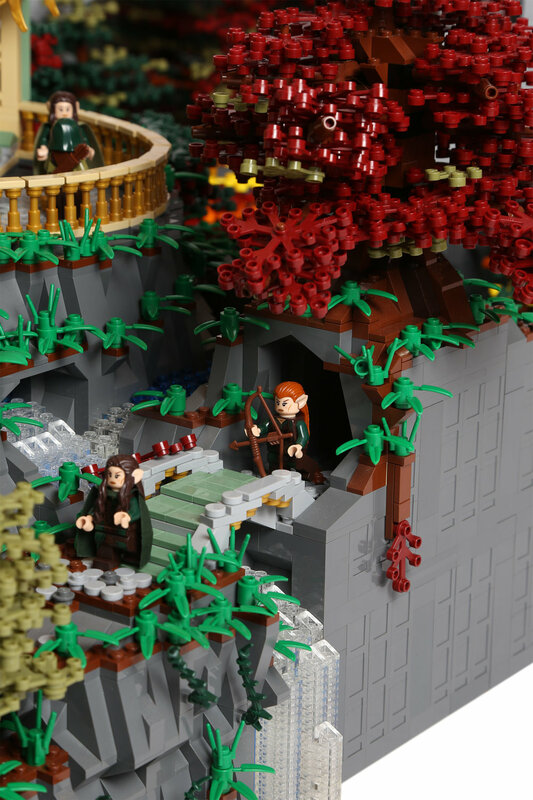 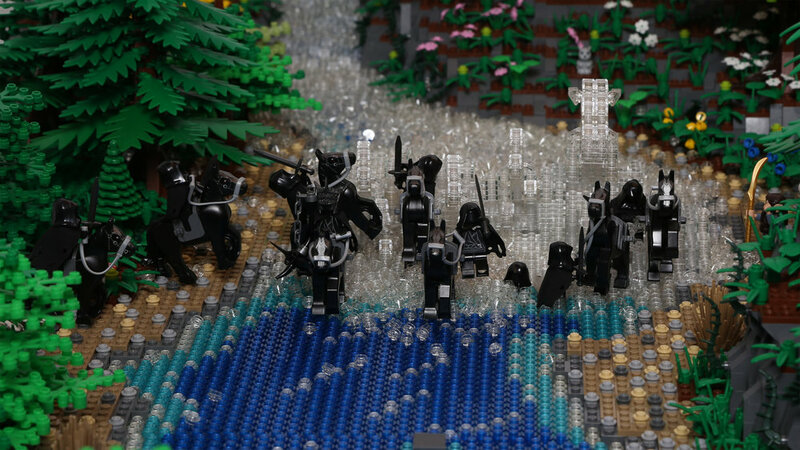 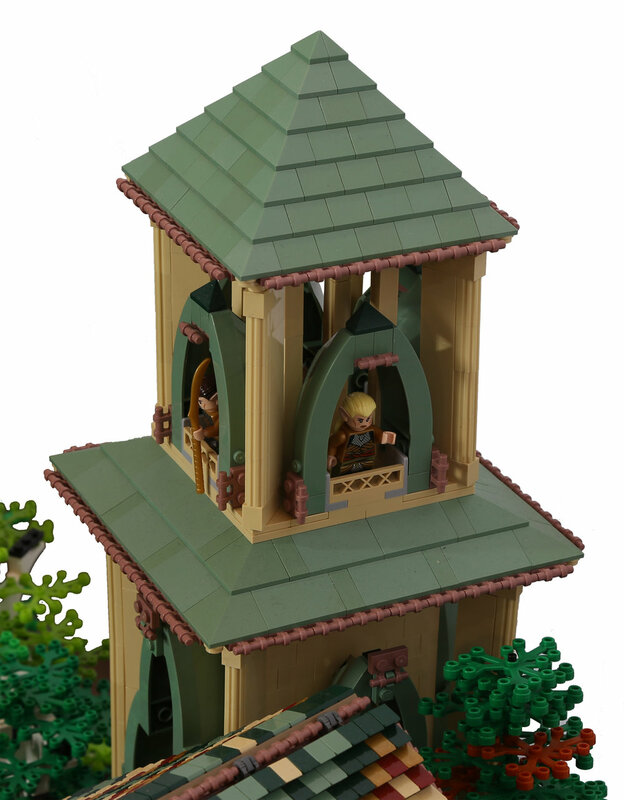 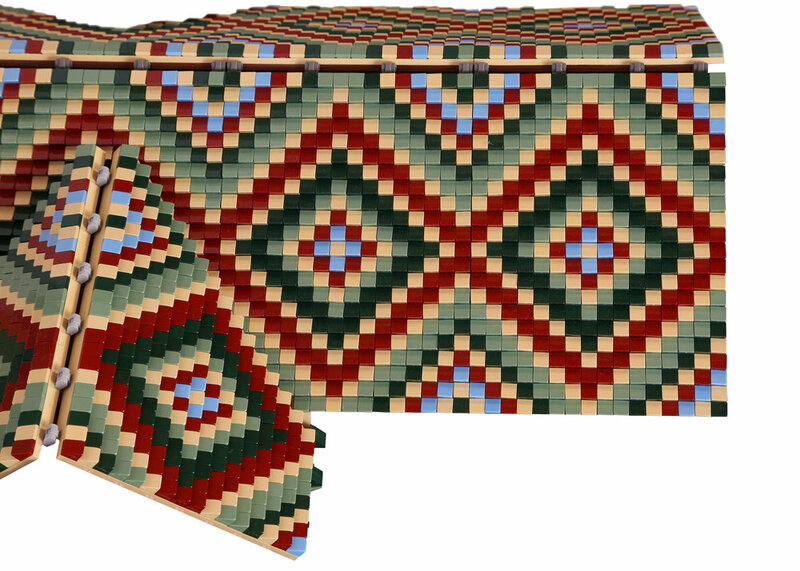 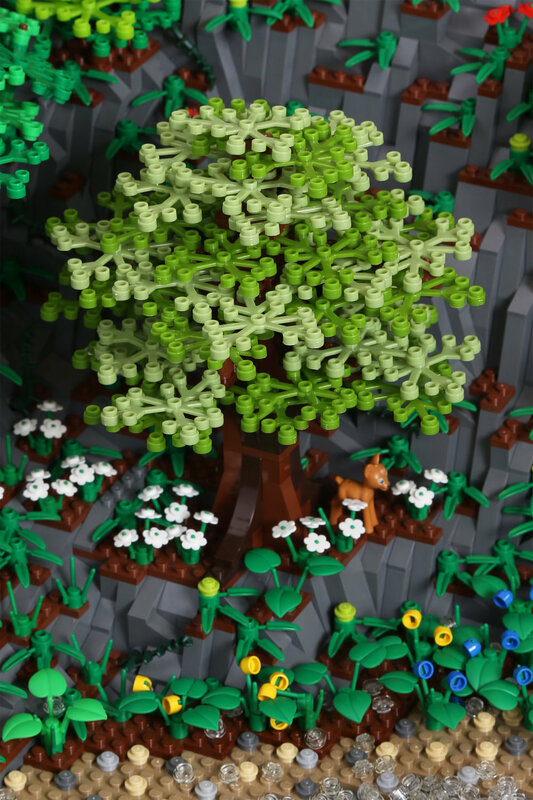 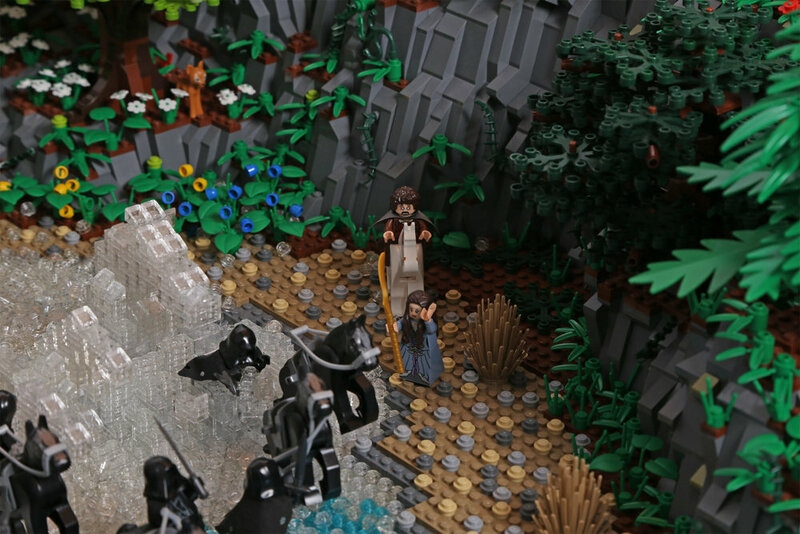 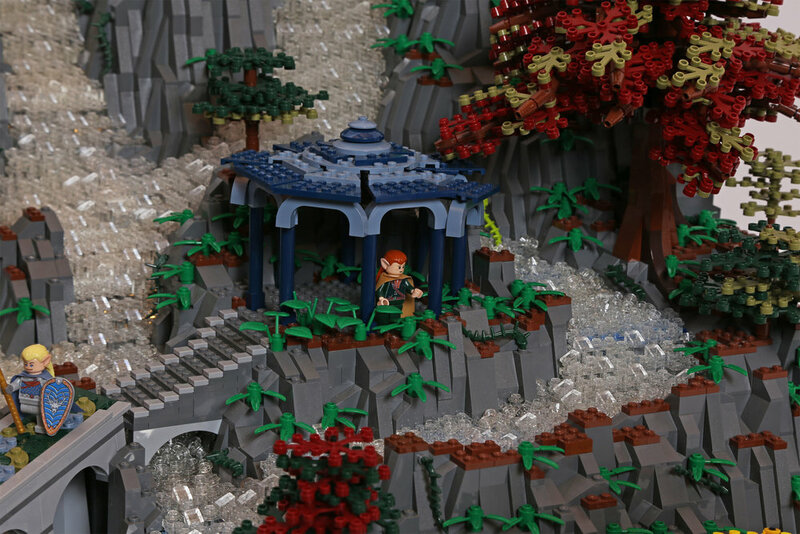 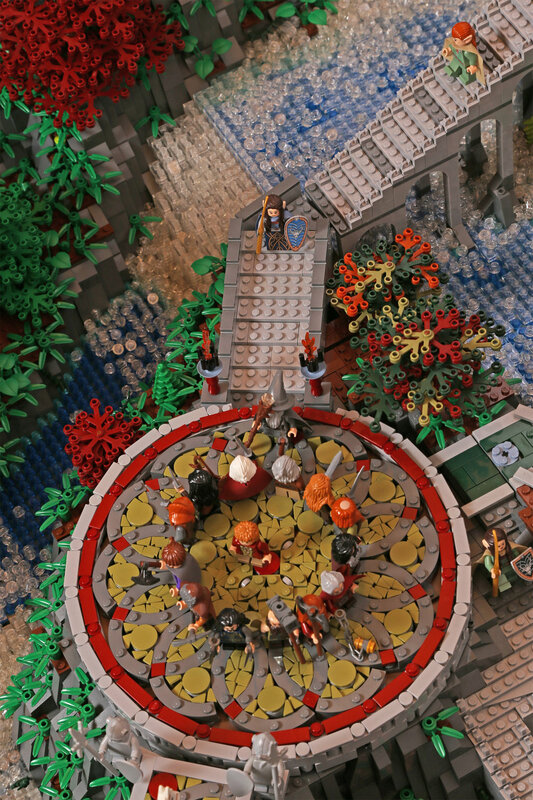 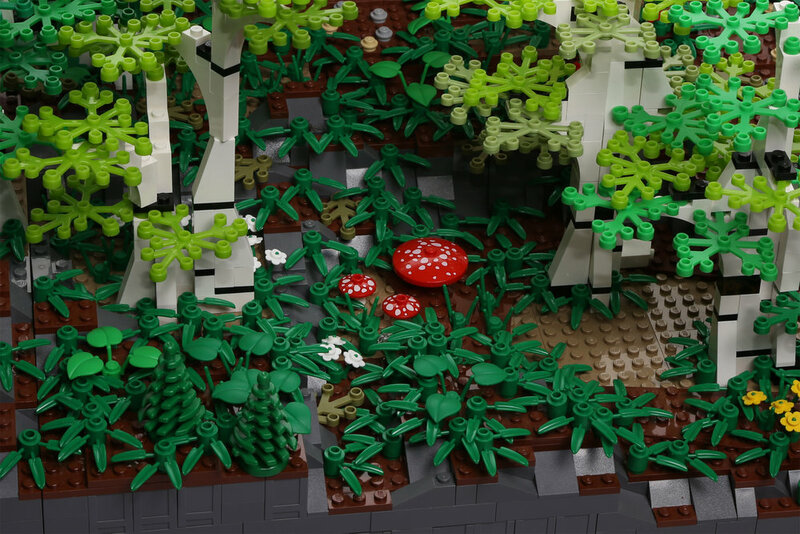 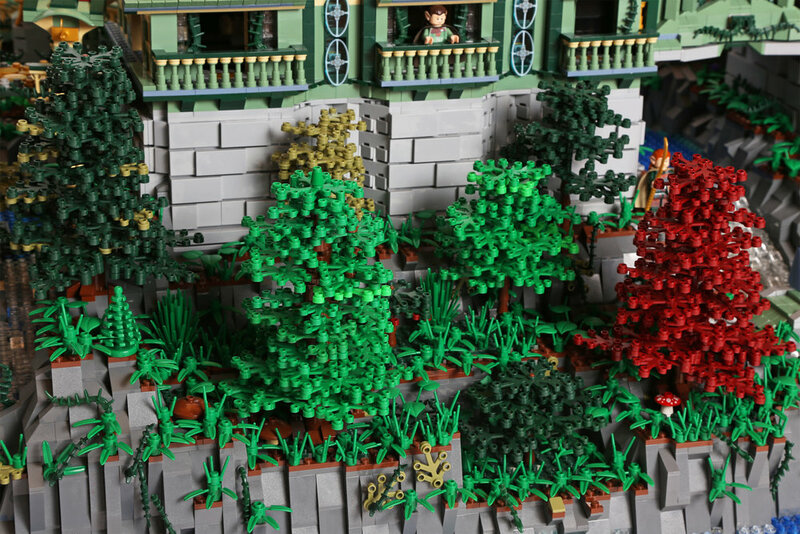 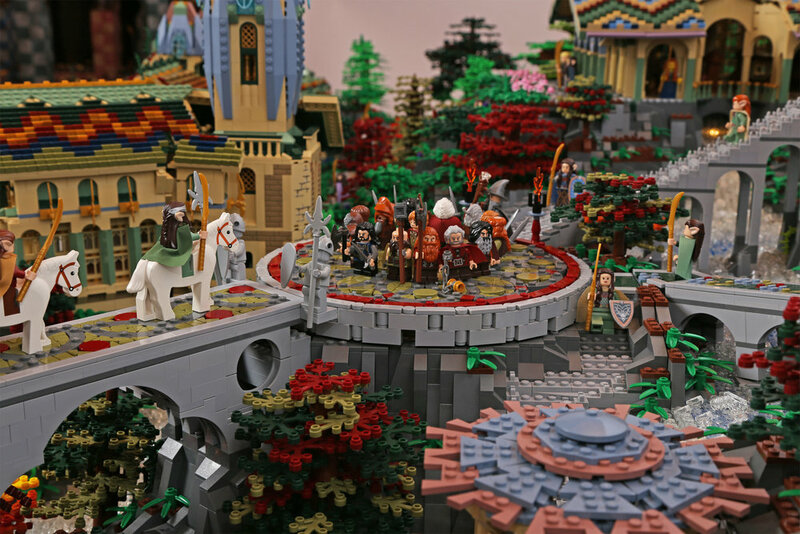 The Last Homely house is a refuge for hobbits, men, dwarves, elves, and minifigures. 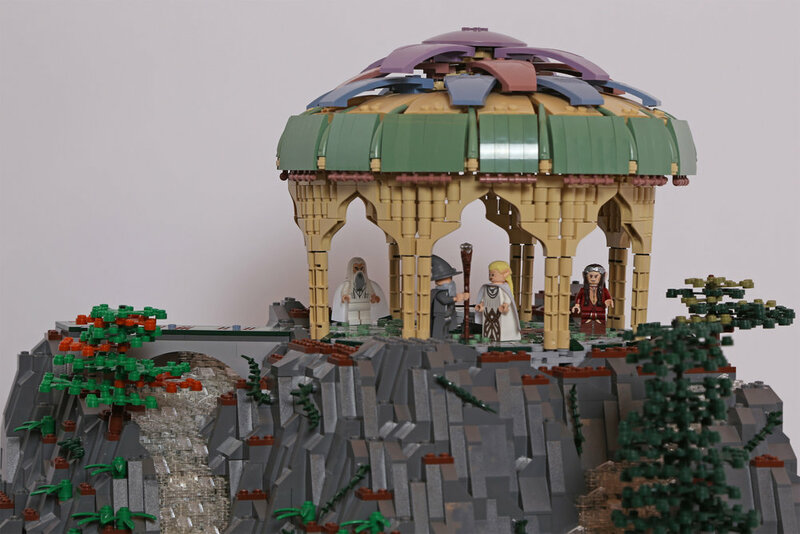 I first met David Frank out our very first LUG meeting. 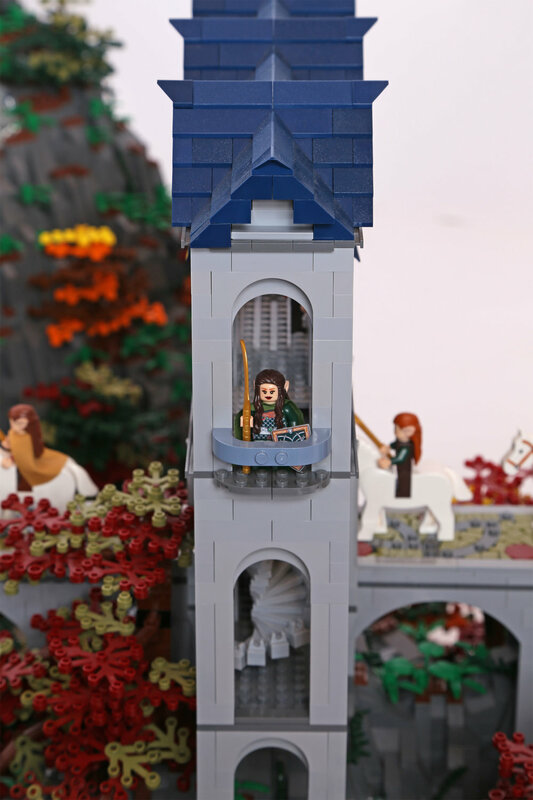 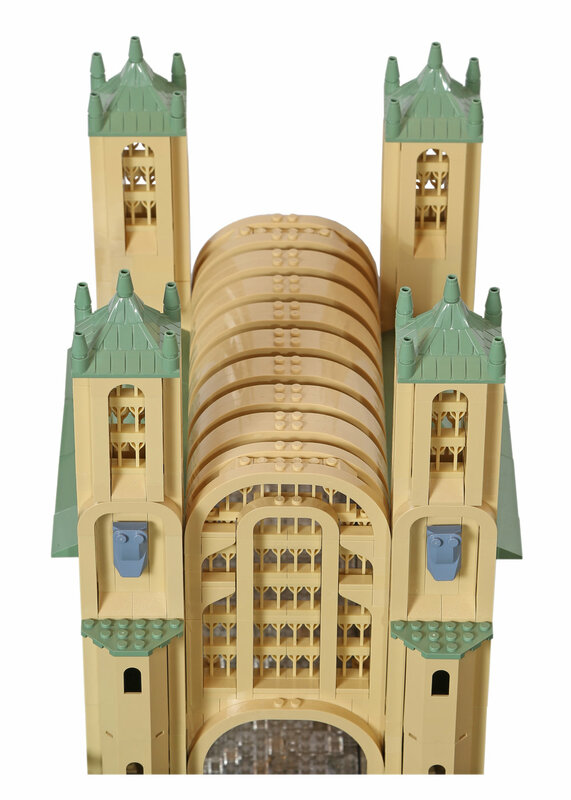 We were both just starting to build again and found that we had much in common- a love for castles, historical architecture, and fantasy novels, particularly Lord of the Rings. 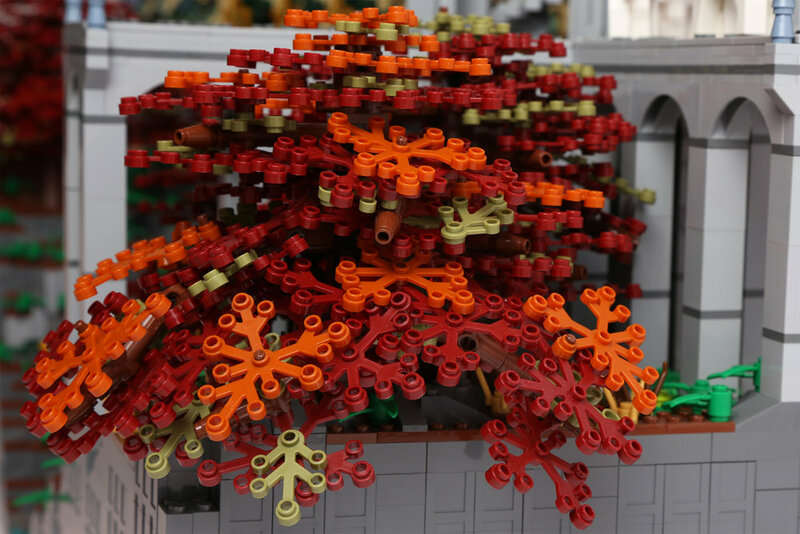 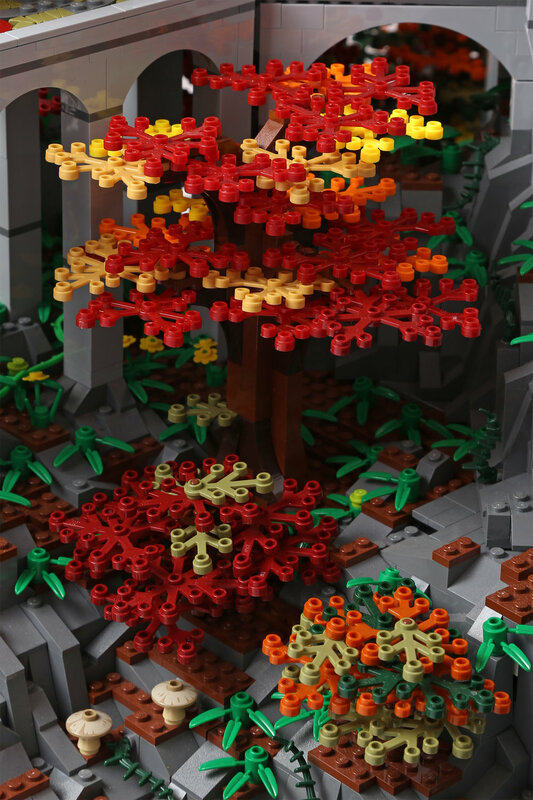 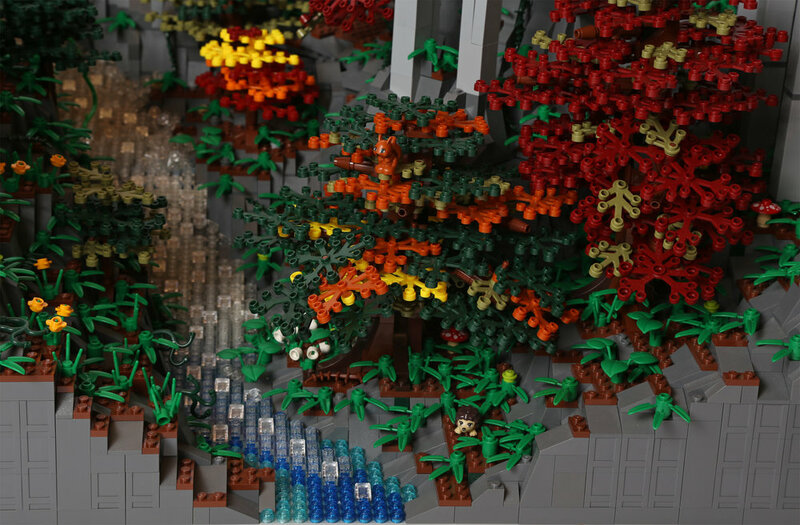 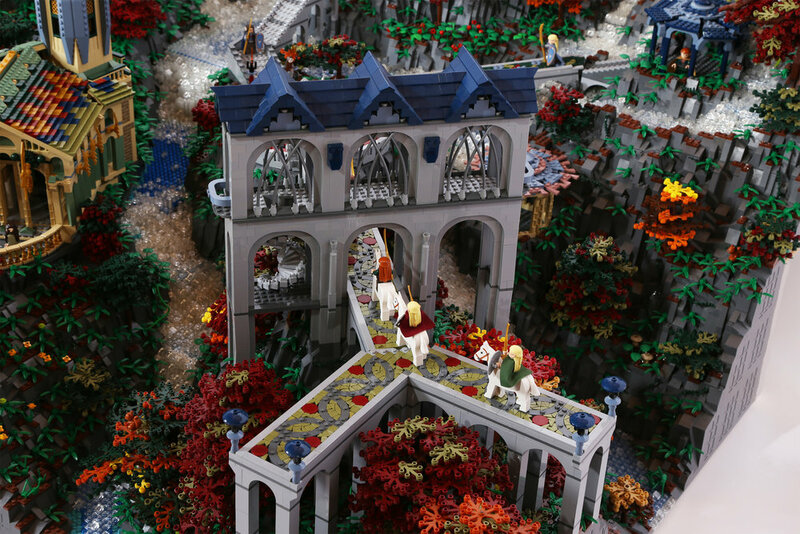 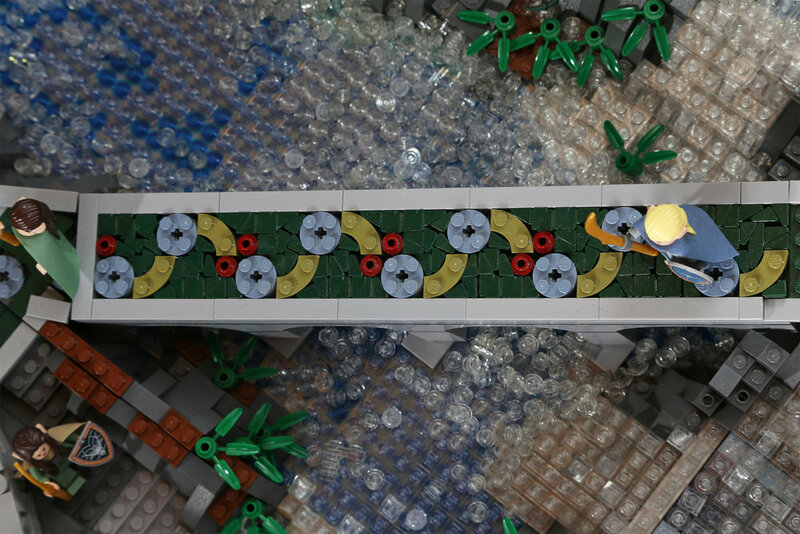 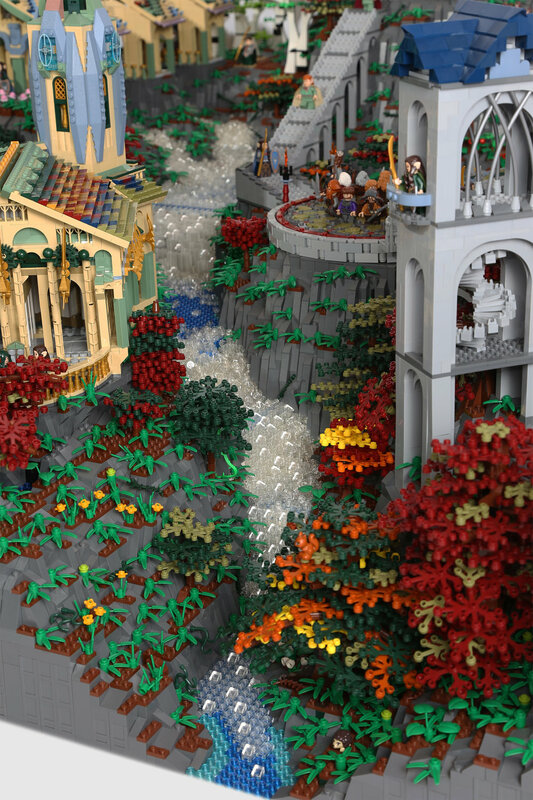 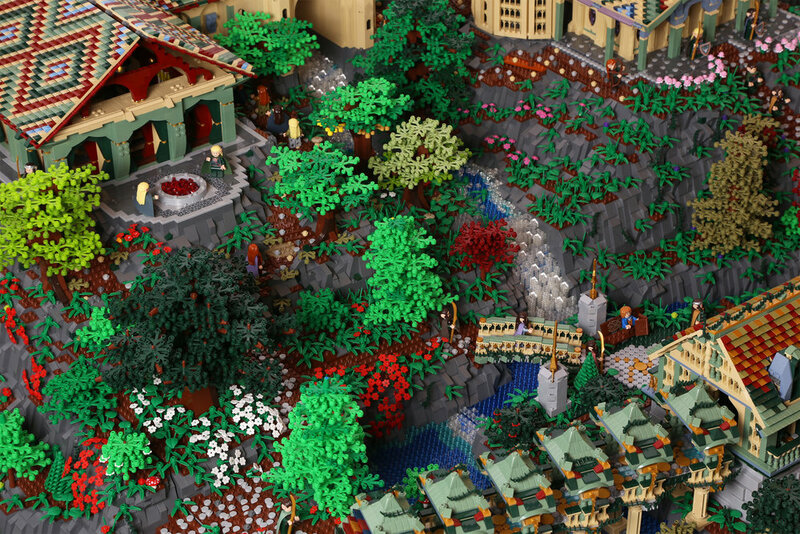 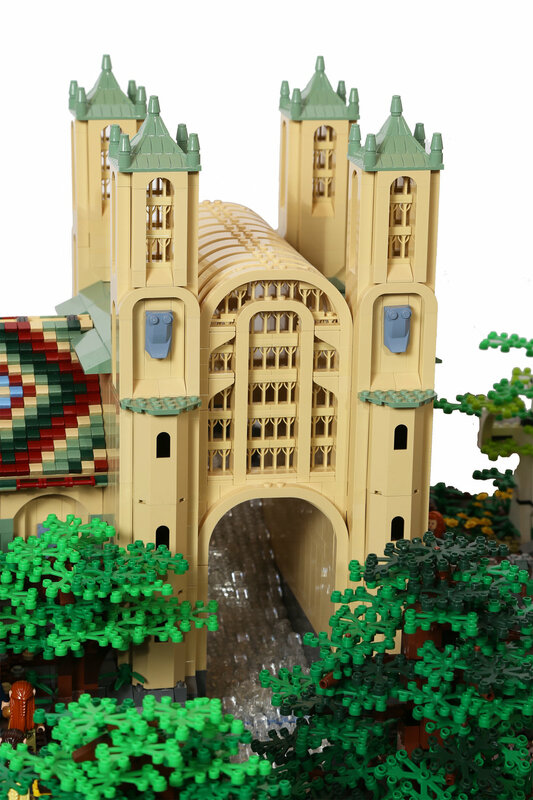 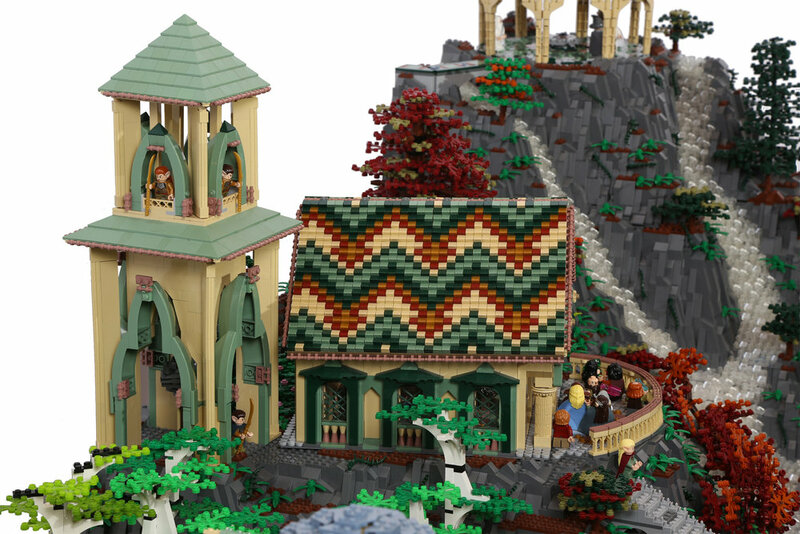 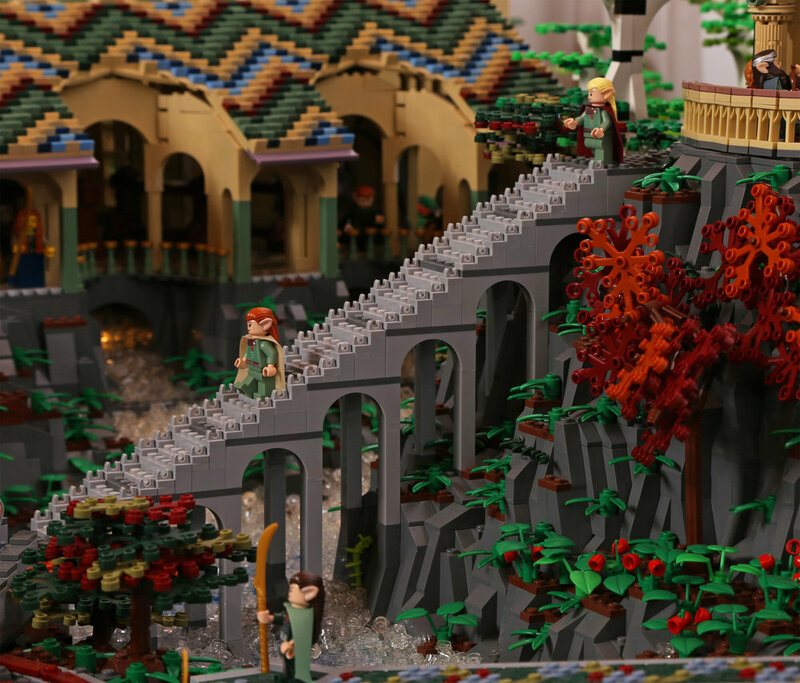 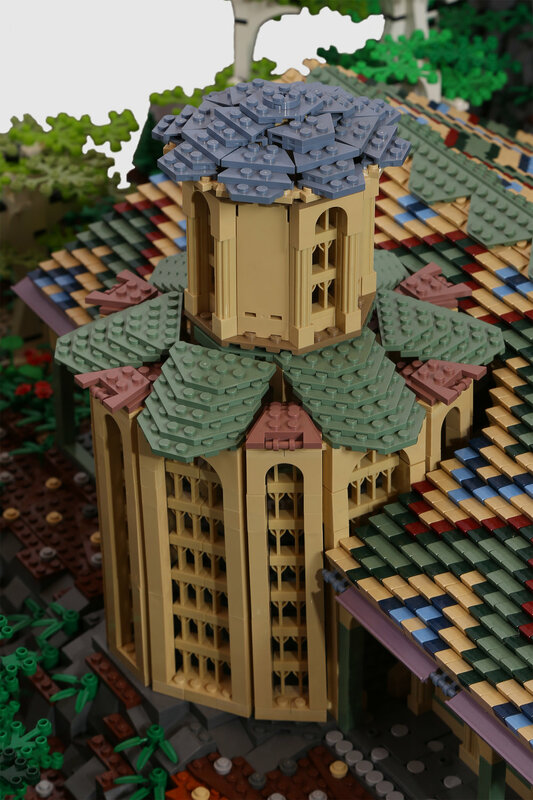 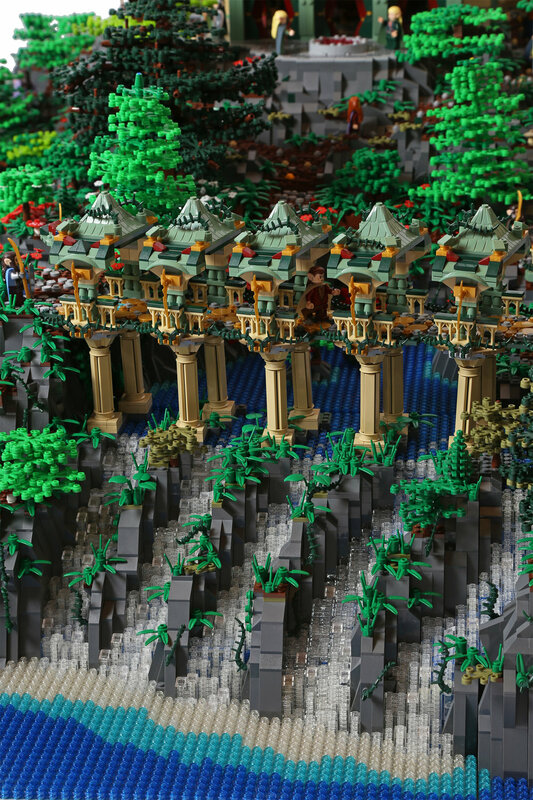 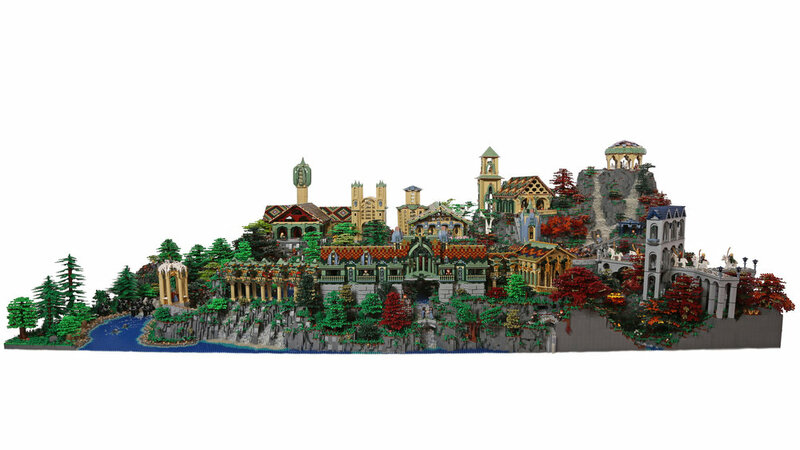 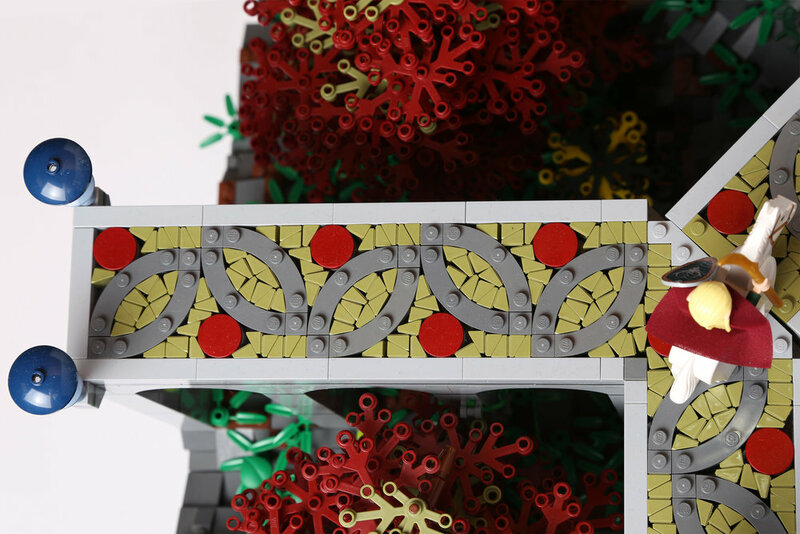 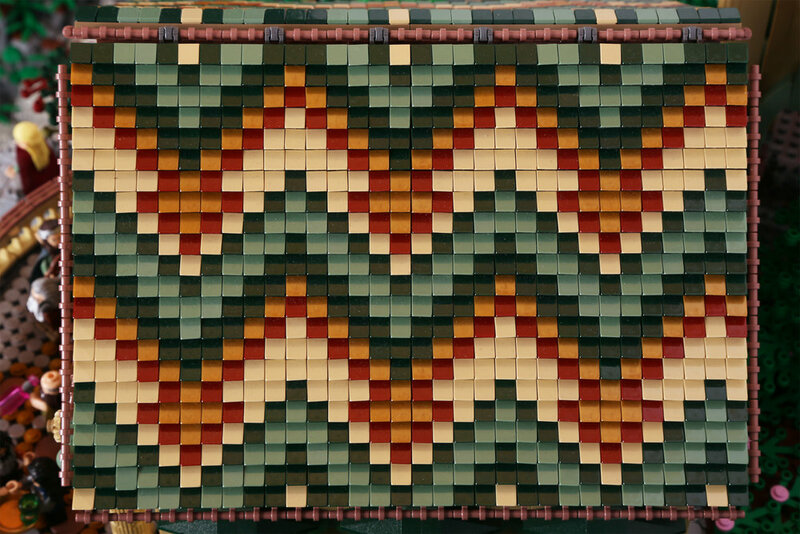 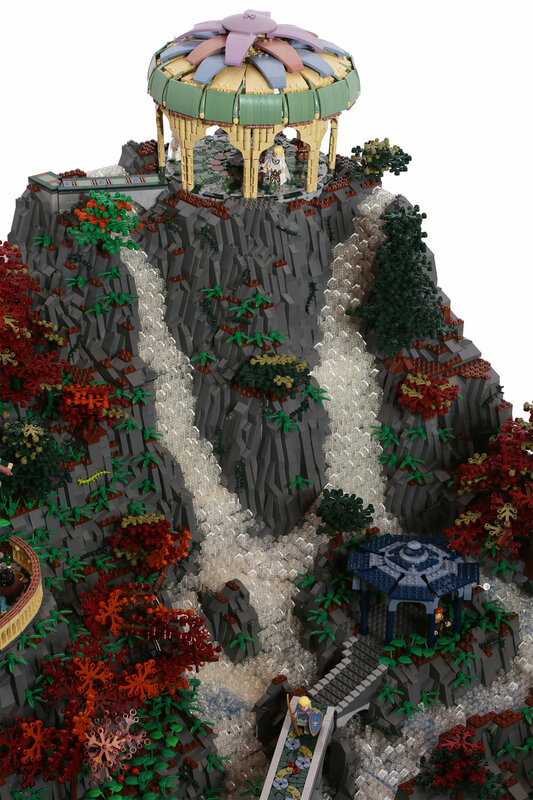 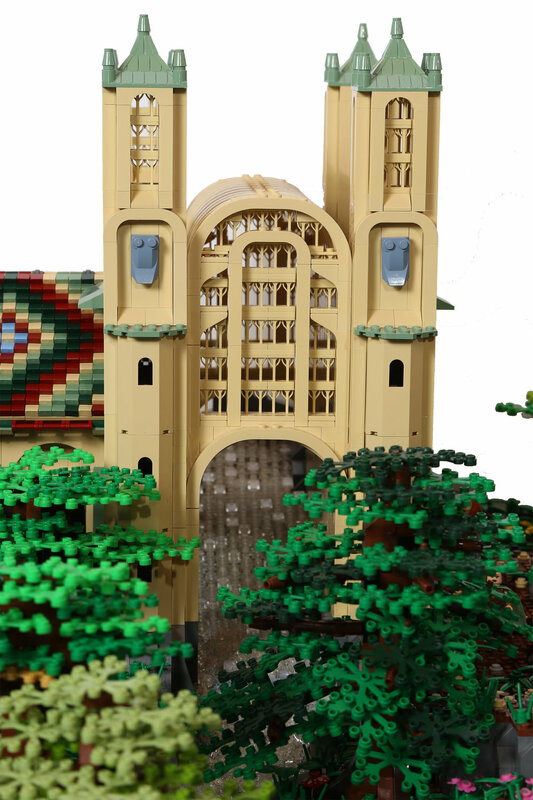 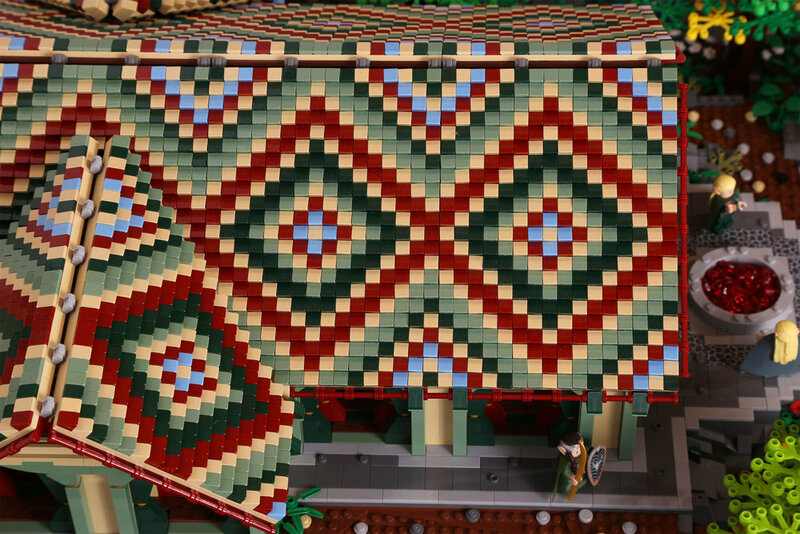 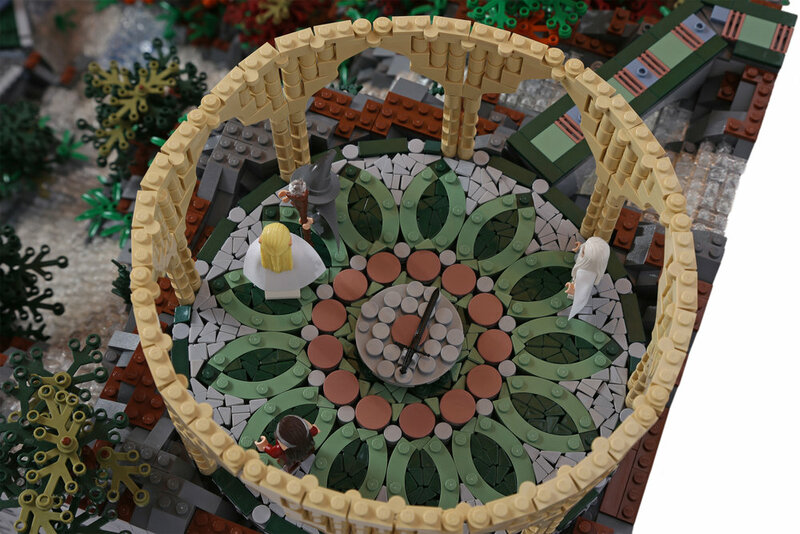 Someday we said, wouldn't it be cool to build Rivendell? 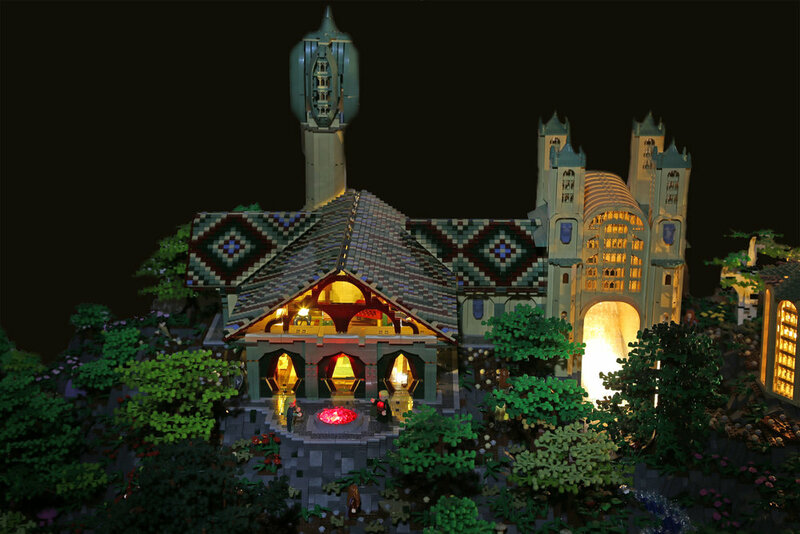 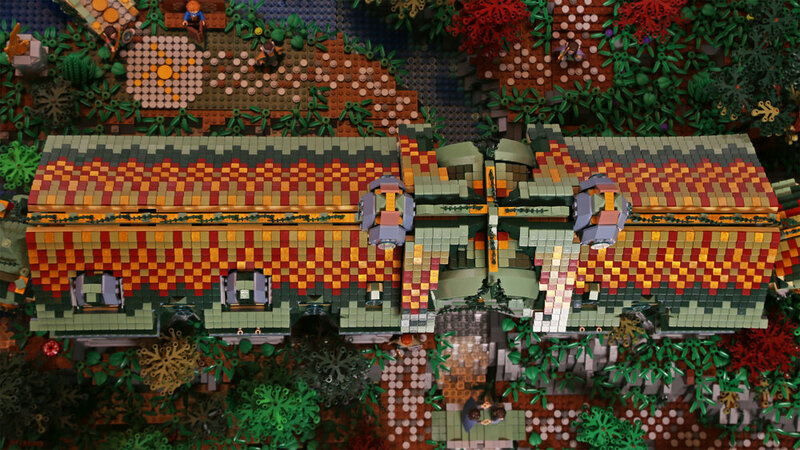 A couple years later, we both had just finished big solo builds and the topic came up that maybe it was the right time to take on a build like Rivendell. 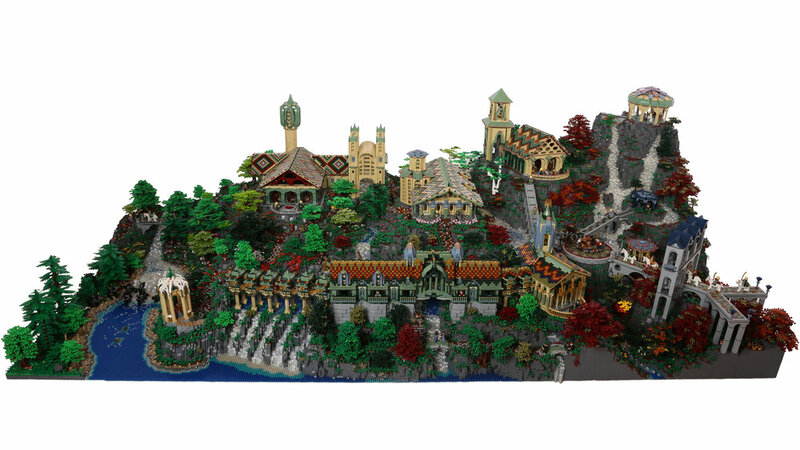 We planned for a how we would divide it up, what buildings would go where (especially since quite a few things changed from the LOTR film version to the Hobbit version), and then managed to pull the whole thing together in about 5 months of intense building.